Whether you’re just looking to get the latest technology in today’s society, or looking to invest in order to save money on fuel in the long run, it can be hard to find the ideal car to suit your needs. Electric cars used to be much smaller and less spacious than standard cars, and were somewhat less popular, however, things have now changed and we are seeing a big increase in production from manufacturers. With global year-on-year sales doubling in 2013 to around 200,000 electric vehicle units - and the 2014 figures set to beat that - demand is increasing very quickly. 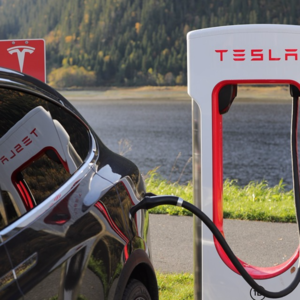 An electric car has an on-board battery, which stores electrical energy and is recharged through a connection to an electricity supply, most often from the mains in a home or special charging points situated around the country. In order for the car to drive, the energy required is drawn from the battery and converted into motive energy, allowing the vehicle to move just like a conventional car. The main difference between the electric car and conventional car is the driving experience. In an electric car, there is no clutch and the drive is almost silent and a lot smoother. Why Change to an Electric Car? If you care about the environment and you want to contribute less to pollution, then you will feel proud owning an electric car. Once you take one for a test drive you will realise just how much running on electricity and new technology makes a difference to the way it drives on the road. It’s a quiet, smooth and comfortable experience. What’s more, an electric car could save you £1,000 a year on fuel costs. Buying an electric car should be seen more as an investment in the long run due to the immediate benefit of having very little running costs. A full charge will typically cost £2-3 giving you an average of 100 miles, which is the equivalent of £12-18 depending on petrol or diesel. Electric cars have no road tax to pay, and if you’re in London, you won't pay a penny for congestion charges. In some cases, you will be able to receive a government grant to reduce the initial cost of purchasing an electric car by 25%, up to £5,000, and 20% for an electric van, up to £8,000. More information can be found on costs here. Purchase prices range greatly depending on the car you buy, however, they are generally more expensive than equivalent conventional cars. Of course, the initial purchase is an investment that you get back over time from reduce fuel costs and road tax. Even with recent emergence of new, Npower charging points across the country, which aim to recharge the car to 80% capacity in between 15-30 minutes, charging can still be less than convenience. The Npower charging points are only found at specific locations, and charge times are still generally slow . If you’re going to recharge your electric car at home, each hour of charging will power approximately 20-25 miles of driving. If you forget to charge up your car the night before, then you could be in trouble the next morning. Another drawback is that there aren’t a great deal of electric cars to choose from when comparing them with conventional cars, and in most cases you’ll find one that’s extremely eye grabbing, but also extremely expensive. If you’re a frequent commuter or car user and would not only like to help preserve the global environment but also save money whilst doing so, then it could be time to buy an electric car. Ryan Hughes is a writer for Electrical Traning 4 U. Nationally recognised as one of the best training centres in the UK, you can connect with Electricial Training 4 U on Twitter, Google+, Facebook, and also by visiting their electrical training courses online.